How smoking harms your vision? Cataracts: Cataract is clouding of the lens of the eye. This clouding can be slight to complete opacity causing obstruction in passage of light leading to decrease in the vision. 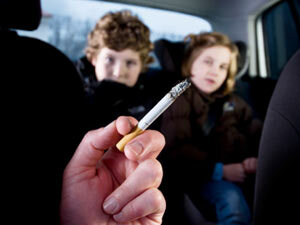 Smoking doubles the risks of changes in the lens of your eye as opposed to a non smoker. Age –Related Macular Degeneration: An eye disease that affects the macula part of the retina. Macula is the part in the retina ( back part of the retina) that is responsible for seeing things. Smokers have a triple increase in the risk of developing age related macular degeneration with people who have never smoked. Macular degeneration causes “Blind Spots” and often severely impairs central vision. It is a disease that impacts the ability to read, recongise shapes, drive or watch. Uveitis: The eye has many layers. The middle layer of the eye is called as uvea and inflammation of the this middle layerof the eye is called as uveitis. Uveitis may result in blurred vision, sensitivity to light, redness of the eye, pain in the eye and finally vision loss too. Uveitis occurs most frequently at the age of 20-50 years. But the cases of uveitis is higehr in smokers as opposed to non –smokers. Diabetic Retinopathy: Diabetis is a disease that affects all organs and eye is no exception to it. The combination of having a pre-existing disease like diabetes and smoking is a recipe to diaster. Smoking doubles the risk of Diabetes and its complications. It damages the blood vessels of the retina and results in vision loss. Dry Eye Syndrome: It is an eye disease that occurs when their is lack of lubrication to the eye. It leads to damage in the blood vessels of the eye. The irritating effects of cigarette smoke can cause your eyes to become red, scratchy and dry not to mention the burning sensation that follows it. Glaucoma: Glaucoma causes a breakdown of the cells that make up the nerve in your eye that sends visual information to your brain (optic nerve). As the nerve cells die, vision is slowly lost, usually beginning with side or peripheral vision. Often the loss of vision is not noticeable until a large amount of nerve damage has occurred. This process is fastened in smokers and makes them a good candidate for glaucoma. Infant eye problem: Smoking doesn't just jeopardise an individual but has collateral damage too. Women’s who smoke during pregnancy are most likely to give birth to pre-mature baby. Babies born pre-maturely are at greater risk of eye problems. Grave’s Disease: Grave’s Disease is a condition in which thyroid gland produces excessive hormones. About quarter of people having Grave’s disease develop Thyroid eye disease. Smoking increases your chance of developing eye complications related to thyroid disease. Smoking contains thousands of chemicals and some of these can stimulate the immune system to react against thyroid. In heavy smokers, the chances of developing thyroid eye disease are increased 8 times compared to non-smokers. Second hand Smoke: Smoking can cause eye problems to the people around you too. 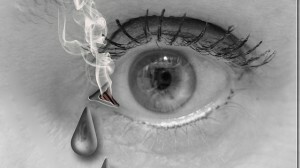 Those people to second hand smoke can also have eye problems like Dry eye. Contact Lens users: Studies show that smokers who wear contact lens have a higher rate of adverse reactions. One may find the contact lens is not comfortable as a result of Dry eye problem caused due to smoking. This can further lead to Corneal Ulcers and become a cause of blindness. 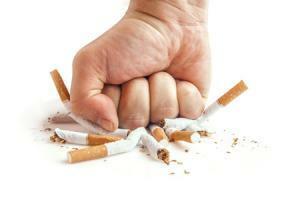 Quit Smoking before Smoking quits you. Monitor your blood sugar level.